Does School Choice Kill Public Schools? 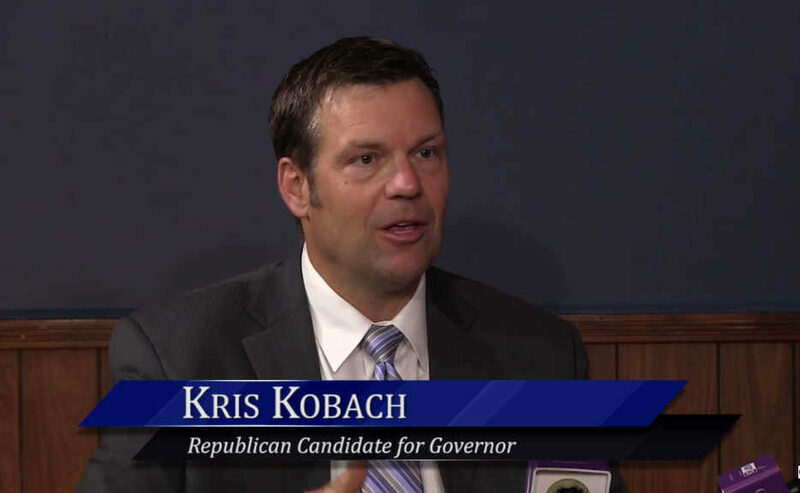 Recently, I asked Kris Kobach, candidate for Kansas Governor, if he supports school choice. His answer was “Yes,” and he gave an idea of how that would work. The liberal media pounced on his idea and twisted his answer in a way that perpetuates the fear that allowing parents to choose what is best for their child’s education will kill the public school system. Conservatives and liberals alike are fearful about this, but will it really kill the public schools? To answer this, we need to first look at the problem. The real problem of meeting the needs of every student so that they achieve their potential. The Kansas State Department of Education (KSDE) has a new program called “Kansans Can – Kansas leads the world in the success of EVERY student.” This is a lofty goal, because it is a fact that the public schools will never meet every need for every student even with all the money in the world. In 2017, only 34% of the students had an “effective” or better understanding of Math, Science and English skills to enter the workforce. This is a frightening statistic and knowing that all of the additional funding each year over the last 10 years, which has reached record levels, still has not improved student success. When we speak about “School Choice,” it means we focus the educational dollars on every student in the state of Kansas. I would think this is what the KSDE means with their Kansans Can program. If neighborhood schools are not meeting the needs of their children, parents should be able to select a different school that does meet their needs. Right now, that right only belongs to the wealthy or the very poor. Those in the middle are stuck with their government assigned-school, and only one-third of the students succeeding proves this is a flawed method of educating the next generation. There are many different models of school choice around the country. Kris Kobach’s idea of grading each school building sounds logical on the surface and uses current Kansas state tests to do so. What he proposed is that schools with test score improvement from year to year will get pay increases for the staff, and those that fail will give vouchers to the students to choose another option. While the performance-based initiative is a good start, it only meets the needs of children of failing schools. What about the other students that may be in a good school, but their needs are not being met? In addition, this puts more focus on the testing that has proven to be a failure with No Child Left Behind and other legislation. The best school choice option is for every parent/guardian to choose the best school to meet the needs of their child. This solution is great for public schools, great for teachers, great for students, and great for the Kansas economy. The best system for students is the best system for everyone. When our students get their individual needs met, whether he is high-achieving where challenging work is best or he is special-needs and focused therapies are best, our teachers will be able to actually teach, have more opportunities, and thus better pay; our schools will be less taxed with the overbearing challenge of meeting so many different problems our children face; and our economy will be strengthened with better prepared graduates and growth. In states that have enacted school choice for all students, the public schools are flourishing! The free-market system encouraged new schools to pop up to meet the full spectrum of student needs, from autism to college-prep. Not all students will flock to the new schools, because public schools still have a lot to offer. The value of attending school with your neighbors, great sports, and great teachers will still appeal to the majority of parents. What it does mean is that public schools will be required to focus on the students, not the administrator’s salary. The teachers and staff will need to be paid better so schools have the best teachers. The student’s parents will be the judge of their child’s success instead of the government tests. Teachers and administrators alike will be encouraged to work with the parent to ensure the success of the student. My experience as a public school employee and as a public school parent was that teachers only speak to parents for less than 10 minutes, twice per year, as required, at Parent-Teacher Conferences. This might work for a few students, but it certainly doesn’t work for the majority. If the parents prefer their child not sit through the social engineering classes that teach values in conflict with their own, they will now have the opportunity to go elsewhere. If the school is great, but the environment is a problem with the student like drugs or bullying, the parent will be able to move the student to a new environment. If the child is struggling with new teaching methods like Common Core, the parent can move he/she to a more classical learning option. Until every parent is allowed to choose what is best for their child, our student success will be sub-par, the funding will continue to go through the roof, and our children will be sacrificed in the process. School choice for all students levels the playing field for poor, rich and middle-income students alike. As soon as conservatives and liberals stop arguing long enough to learn about the proven benefits of school choice, our children, every child, will finally get the education they so deserve and our public school system will also thrive. In this episode of WichitaLiberty.TV: Kansas Secretary of State Kris Kobach is a candidate for the Republican Party nomination for Kansas Governor. He joins Bob and Karl to make the case as to why he should be our next governor. View below, or click here to view at YouTube. Episode 196, broadcast May 12, 2018. This is part of a series of appearances by gubernatorial candidates for 2018. We hope that all major candidates, of all parties as well as independents, will accept our invitation. The filing deadline is June 1, the primary election is August 7, and the general election is November 6. A Wichita statistician is thwarted in efforts to obtain data that might explain a strange observation. There is a mysterious correlation between votes for Republican candidates and the number of votes cast in a precinct. So far no one has advanced a convincing reason why this should happen. 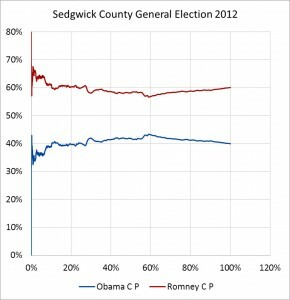 Results from Obama vs. Romney, Sedgwick County, 2012, showing Romney’s lead increasing with precinct size. Click for larger version. 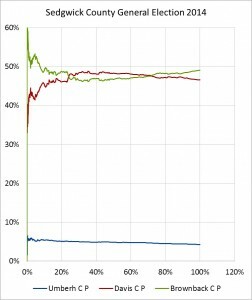 The Choquette and Johnson paper gives the method for examining the relationship between precinct size and candidate vote percentages. I applied the method to three recent Sedgwick County elections. The anomaly appears to be present. 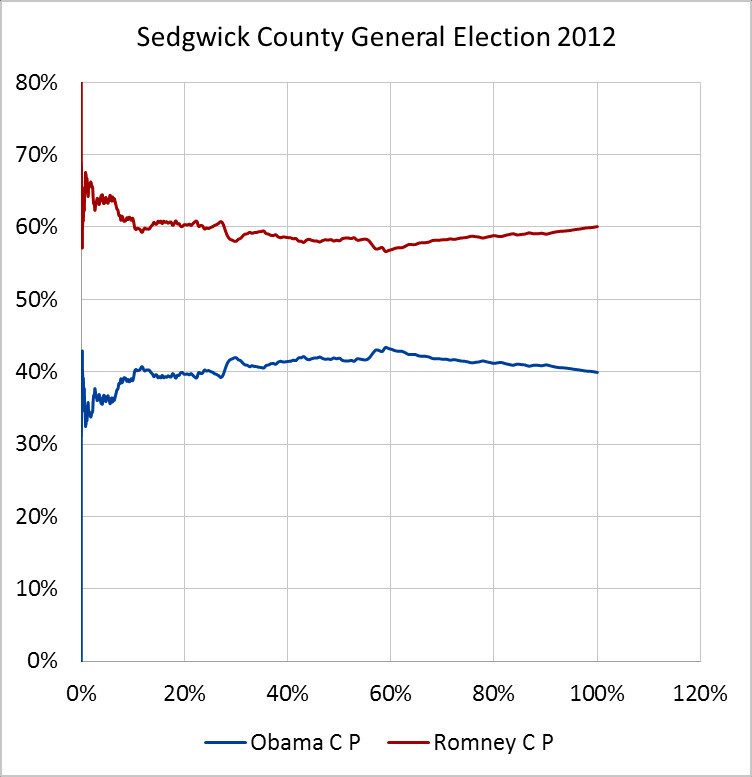 Results from Brownback vs. Davis vs. Umbehr, Sedgwick County, 2014, showing Brownback’s percentage increasing with precinct size. Click for larger version. If Kansas law does in fact prevent the release of voting machine tapes to Clarkson, we need to change the law, and right now. It’s curious that Secretary Kobach is not interested in investigating this apparent anomaly. Voting fraud has been one of Kobach’s key issues. I was concerned that the paper tapes produced by voting machines might contain information that would link individual voters with the votes they cast. That would be a potential problem concerning the confidentiality of votes. But when I voted this week, I watched the information printed on the tape, and I don’t believe there is a concern. 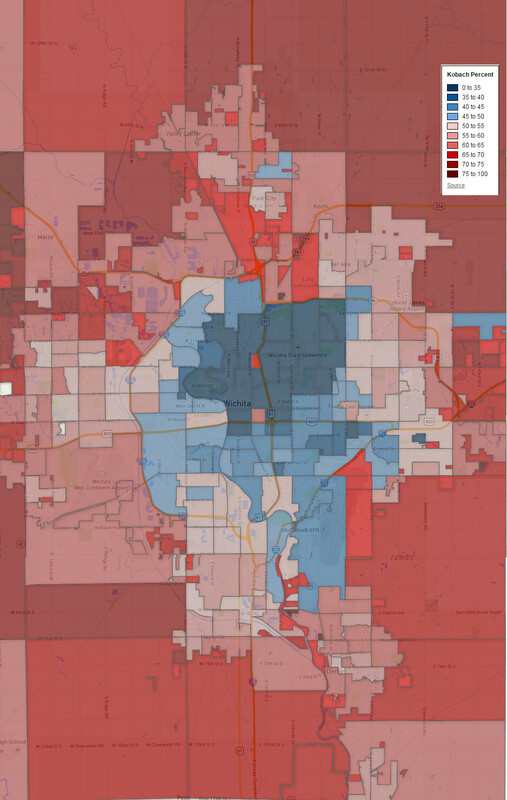 Results from the Wichita marijuana ballot question, April 2015. 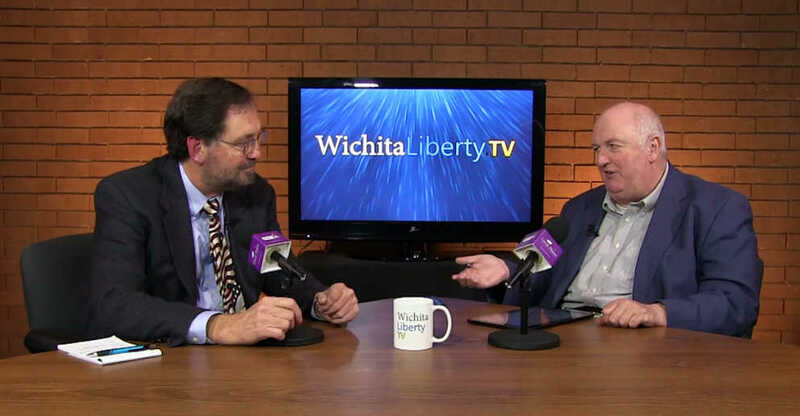 In this episode of WichitaLiberty.TV: Wichita Eagle labels hold a clue to the newspaper’s attitude, Kansas Democratic Party income tax reckoning, straight-ticket voting could leave some issues unvoted, and how a minimum wage hike would harm the most vulnerable workers. View below, or click here to view at YouTube. Episode 72, broadcast January 25, 2015. There are several issues involved with straight-party voting. Kansas shouldn’t adopt this practice. But on the other hand, why not? Kansas Secretary of State Kris Kobach is proposing to add an option for straight party ticket voting in Kansas elections. If enacted, voters would be able to take one action — one pull of the lever, so to speak — and cast a vote for all candidates of a party for all offices. What if a party does not field a candidate for an office? A notable and prominent example is the recent election in which the Kansas Democratic Party did not field a candidate for a major office, that of United States Senator. What if a person pulls the “Straight Democratic Party” lever (or checks the box)? Who will get their vote for senator? 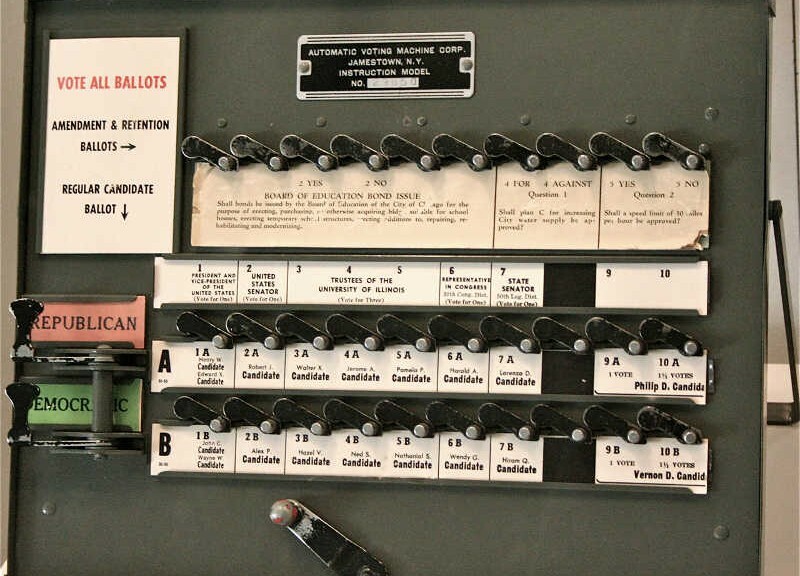 Will the voting machine present an exception to the voter and ask them to make a selection for senator? Conceivably this could be done with voting machines, which are, after all, computers. But what about those who vote using paper ballots, like all the advance voters who vote by mail? Other parties such as the Libertarian Party may also contribute to this problem, as the party may not have candidates for all offices. The ballot items for judges on the Court of Appeals and Supreme Court are of the form “Shall justice so-and-so be retained? Yes or No.” If a voter votes a straight party ballot for the sake of time and convenience — so important to the Secretary of State — will the voter take the time to vote on these judicial retention matters? Or does anyone really know anything about these judges? Initiatives are not associated with a party. 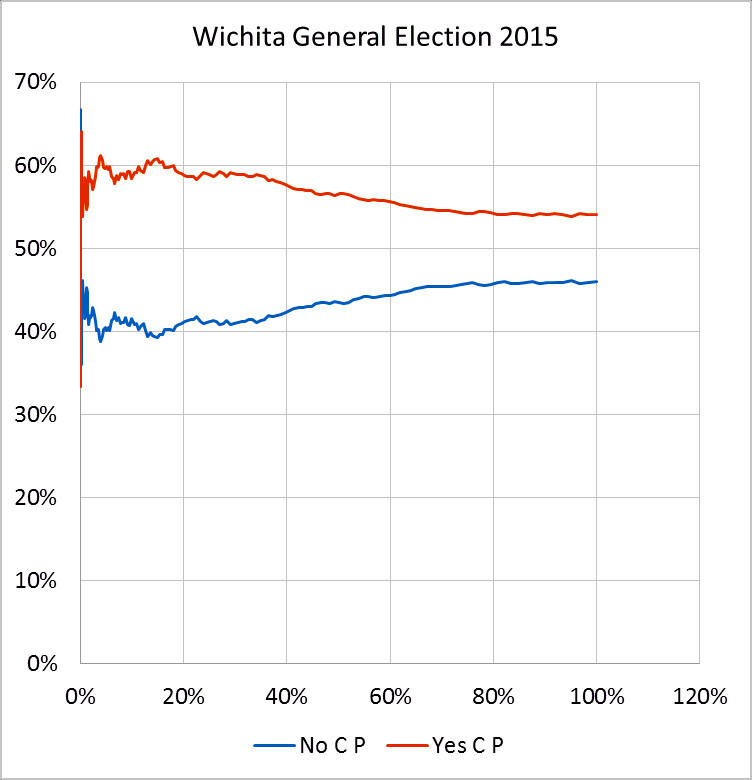 An example is the recent Wichita sales tax question, where voters selected either yes or no. This matter was way down the ballot, below the judicial retention elections. 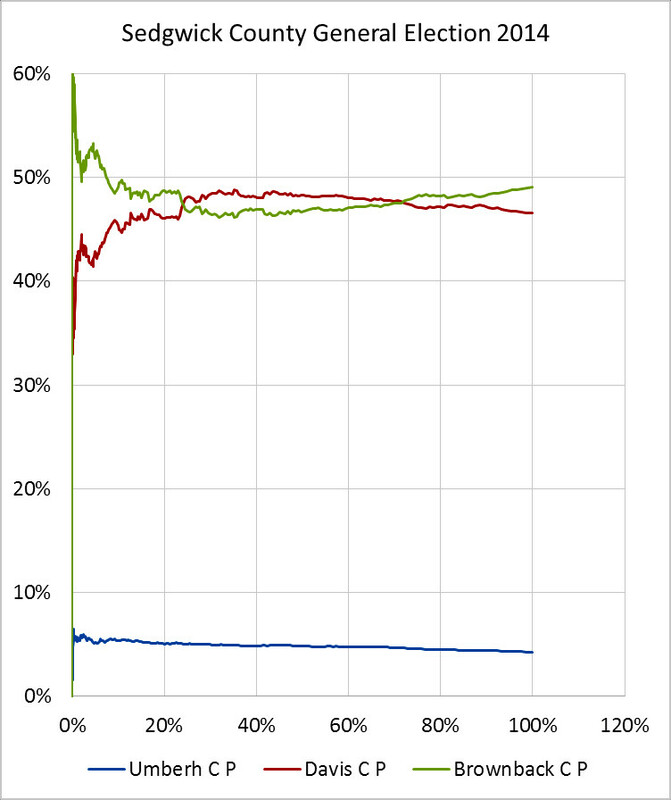 Like initiatives, referenda are not associated with a party. Questions regarding the adoption of constitutional amendments are not associated with a party. They appear near the end of ballots. Undervoting, that is, not casting a vote for any candidate for an office, is a perfectly acceptable choice. There have been many times where I thought that none of the candidates for an office were worthy of my vote. Therefore, I voted for no one. A related consideration: I don’t think Kansas needs an insurance commissioner. Therefore, I voted for none of the candidates. But given the above considerations, do you think one-touch straight-ticket voting will improve participation in down-ballot issues? Move votes may be cast, but are they informed votes? No? Well, this isn’t the first time reason conflicts with what Kris Kobach wants to do. On the other hand, if voters are informed of the considerations listed above and still want the option to cast a straight-party ballot with one touch, well, why not? Here’s a map I created of the vote percentage Kansas Secretary of State Kris Kobach received by precinct. To use an interactive version of this map, click here. On the interactive map you may zoom and scroll, and you may click on a precinct for more information about the votes for that precinct. 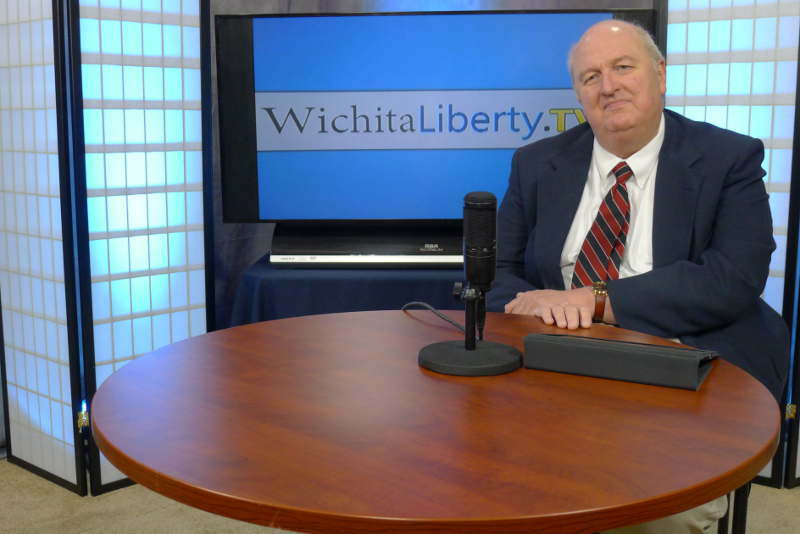 In this episode of Voice for Liberty Radio: Candidates for Republican party nomination for Kansas Secretary of State spoke at the Wichita Pachyderm Club on July 18, 2014. The candidates are incumbent Kris Kobach and challenger Scott Morgan. The issue of voting, particularly the requirement for proof of citizenship when registering to vote, is an issue that separates the two candidates. The format of the meeting was an opening statement by each candidate followed by questions from the audience and a brief closing statement. I asked a question about whether the state’s chief election officer should have a political action committee that engages in electioneering. Kobach replied that this practice is legal, which it is. As to its propriety, Kobach said that statewide officials frequently endorse candidates. Morgan said it is not ethical or appropriate for the secretary of state to have a political action committee. As to Kobach’s argument that since other statewide officials are able to endorse candidates, that means the secretary of state should also, there is a distinguishing factor: Those other officials aren’t in charge of administering Kansas elections. Kansas Secretary of State Kris Kobach wants to make it illegal to photograph your completed ballot, and he wants the power to enforce this law. There’s a thorny question here: Who owns your ballot? You, or the state? If you, then can you be prohibited from photographing something that you own? The usual argument for such a law is that it constrains the buying and selling of votes. A photo of your ballot, it is said, would be proof to a vote-buyer that you delivered the service you promised, if you were to sell your vote. With no ability to prove your vote, it’s thought that there would be fewer buyers. 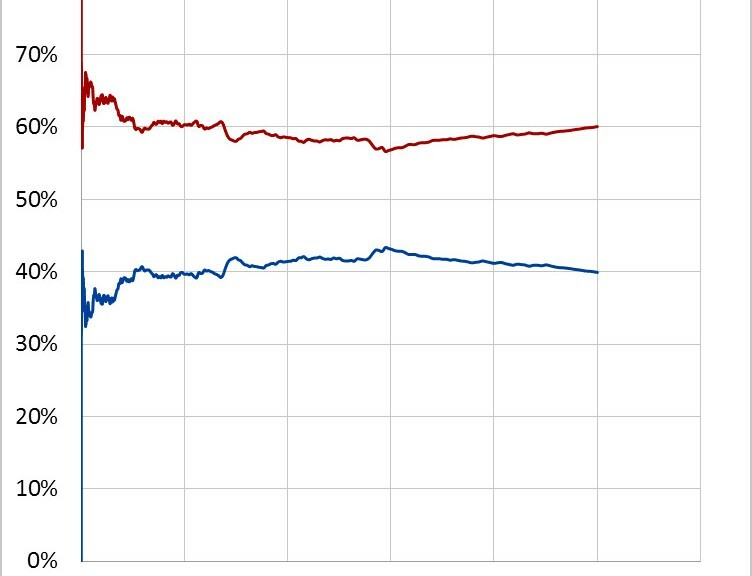 I don’t think, however, that the state should start judging why people voted as they did. Those who voted for Democrats in Kansas: Did they do so because these candidates promised to take more money from others in order to spend more on schools for their children? When a political party transports someone to the polling place because they believe the voter will vote in their favor: Is that buying a vote? Or only providing free shipping and handling? As H.L. Mencken wrote some years ago — before government got really big — “Every election is a sort of advance auction of stolen goods.” Whether the sale is implicit or explicit, it doesn’t change what’s happening. There’s no need to create new laws or enforcement powers. If we’re really interested in reducing the market to buy and sell votes, let’s reduce the power of government to give away stuff that someone else has paid for. Wichita city inspection staffing. Sunday’s Wichita Eagle carries a story detailing problems some southeast Wichita homeowners have with their homes. I’m not sure whether the story is being critical of the city inspection process, so I’ll quote the article: “[Central inspection superintendent Kurt] Schroeder said he can’t say for sure that the city did everything possible to prevent these problems. City inspectors granted building permits and conducted inspections at the houses at various stages of building. But he said the city has no records of final approvals for two houses in the neighborhood. It could be that the inspector signed off but didn’t enter it into the computer system, Schroeder said, but he can’t be sure.” … It’s not as though city inspectors are in short supply. In July, Wichita real estate developer Colby Sandlian spoke to the Wichita Pachyderm Club. As part of his talk, Sandlian said that during the 1950’s, when he started in the real estate business, Wichita was building about 2,600 to 3,000 houses per year, in what he described as some of the nicest neighborhoods in the city. 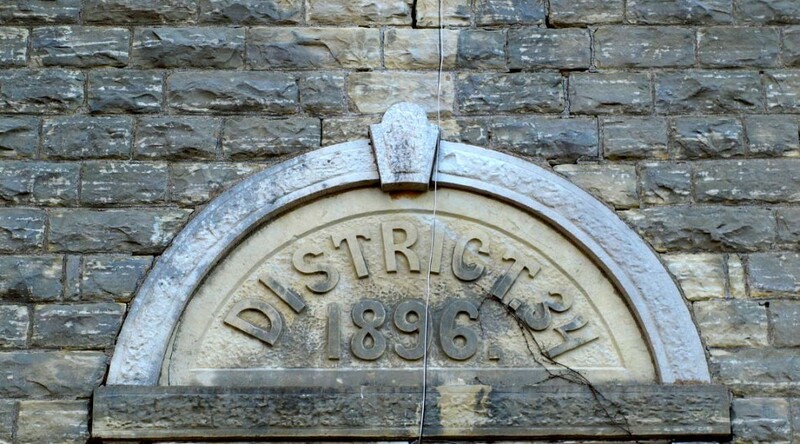 At that time, there were three people in the city’s zoning department, and seven in the building inspection department. Today, Sandlian said Wichita added 1,568 houses in 2007, 1,032 in 2008, and 752 in 2009. Despite the small number of homes being built, staff has swelled: Sandlian said today there are seven in planning (up from three), and 61 in building inspection (up from seven). “Those people, in order to justify their existence, have to find problems with what you’re doing,” he said. But it appears that even with greatly increased numbers, inspectors may not have been looking hard enough, at least in the cases of these southeast Wichita homes. Kansas Prosperity Summit. This Friday (November 12) FairTaxKS is holding an event designed “to create a collaborative environment to create awareness, express support, offer solution, and launch the passing of the Kansas Jobs Plan 2011.” The main event is from noon to 4:00 pm at the Topeka Performing Arts Center (TPAC), 214 SE 8th Ave., and will feature speakers Kris Kobach (Kansas Secretary of State-Elect), Jonathan Williams (co author of “Rich States, Poor States“, Arlen Siegfreid (Speaker Pro Tem of the Kansas House of Representatives), and Dave Trabert (President, Kansas Policy Institute). An optional morning session will observe a meeting of the Special Committee on Assessment and Taxation. See Kansas Prosperity Summit 2011 for complete details. Government cheese. “When sales of Domino’s Pizza were lagging, a government agency stepped in with advice: more cheese. This is the same government that, for health reasons, is advising less cheese.” The New York Times continues in While Warning About Fat, U.S. Pushes Cheese Sales: “Domino’s Pizza was hurting early last year. … Then help arrived from an organization called Dairy Management. It teamed up with Domino’s to develop a new line of pizzas with 40 percent more cheese, and proceeded to devise and pay for a $12 million marketing campaign. … Dairy Management, which has made cheese its cause, is not a private business consultant. It is a marketing creation of the United States Department of Agriculture — the same agency at the center of a federal anti-obesity drive that discourages over-consumption of some of the very foods Dairy Management is vigorously promoting.” I’m starting to lose track of the contradictions here: Government promoting the very food it blames for health problems it often ends up paying for, and an agency partly funded by tax funds developing marketing programs for a private firm. When the New York Times complains that something is amiss with a government program, you know it’s really bad. Kansas budget profiled. John Hanna of Associated Press takes a look at the Kansas budget and issues surrounding. Key facts: For the next budget (fiscal year 2012, which starts July 1, 2011, and is the budget the legislature will work on during the upcoming session), there is no more federal stimulus money. That money was a key part in balancing the last two budgets. The deficit for FY 2012 is projected at $492 million. Tax collections are projected to grow by 4.3 percent in FY 2012. By transferring highway funds and gambling revenues to the general fund, the state could balance the budget without cutting services by much, but there will likely have to be some cuts. In debates over public policy, words matter. But readers recognize that words represent the opinion of the writer, and as such can be incorrect, misinformed, or simply stating a preference that the reader may disagree with. But photographs are different. When presented with a photograph purporting to convey a message, readers (viewers) don’t know if it is real or has been altered. 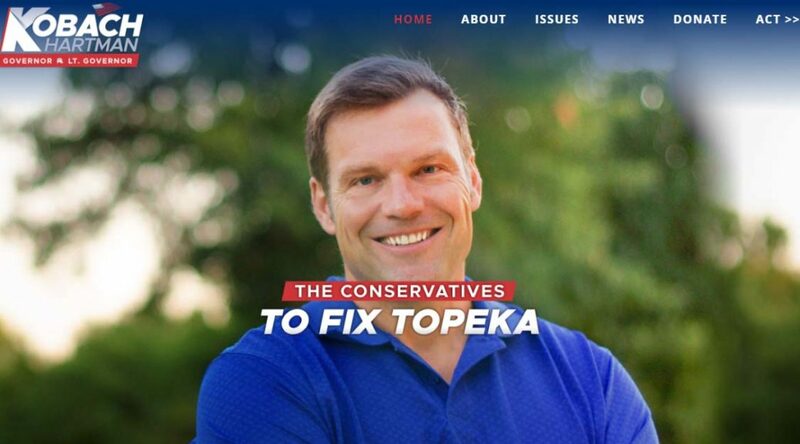 So when the Community Bridge Blog, a Manhattan-based project, uses a doctored photograph of Republican Kansas Secretary of State Candidate Kris Kobach, readers might be justifiably confused. Is the pasted-in message behind Kobach real, or false? In this case the photograph is false. It’s a fake. These types of photographic alterations — thought to be funny or amusing by some, especially liberals — have no place in serious public discussion. Even if they’re a staple of MSNBC television commentators. And when we wonder why good people are reluctant to run for public office, here’s a reason why: they’re likely to be subject to malicious and false attacks such as this. The author of the post, Christopher E. Renner — at one time a “Linguistically/Culturally Diverse Populations’ Consultant and Teacher Trainer at the Midwest Equity Assistance Center, College of Education, Kansas State University” — ought to apologize to Kobach and the readers of the blog. That’s if he wants to be taken seriously. Here’s the text of Renner’s post, contained in What Every Kansan Needs to Know about Kris Kobach. While I believe Renner is largely incorrect in his opinion — and his writing could use some proofreading — his written opinions are just that. Readers can choose to agree or not. 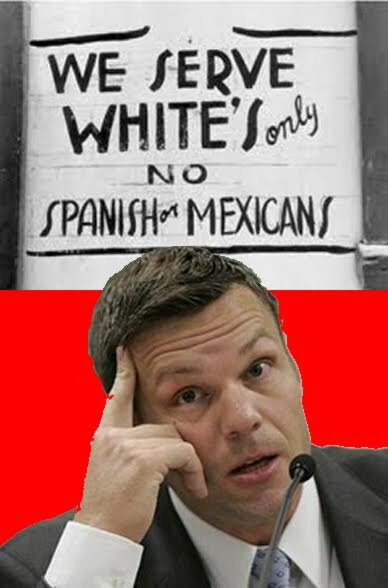 The Republican’s nominee for the job of Kansas Secretary of State, Kris Kobach, is a well know nativist extremist who makes a living by drafting anti-immigrant laws and, after they are adopted, trains officers to enforce them. If the laws are challenged, he goes to court to defend them. Quite the racket since the laws are always rule unconstitutional and in the mean time he lines his pockets with tax-payer dollars from the legal fees he racks up. But altered photographs are different from words.